Enameled 12-gauge steel and bronzed stainless steel. 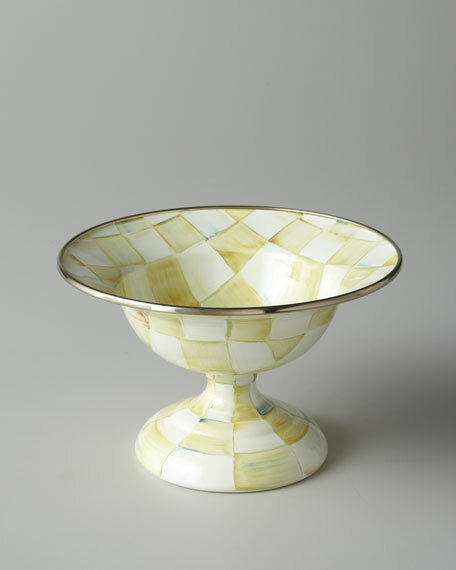 Hand-painted color-dragged checks blending parchment, taupe, and gold lustre with a touch of aqua. 7.5"Dia. x 5"T; holds 10 ounces.